"There's something to be learned in everything," I often hear my mentors say. And while it may be true, sometimes we don't quite want to feel that way, especially when life dishes us one challenge after another, after another, after another. After all, we're trying to gasp for the next adequate breath. Sometimes while we're undigging ourselves from the rubble we've ended up under it's hard to see the sun. I would know. And as true as it actually is, those are not words I always appreciate. If I've learned anything, it's that our strengths are always determined by our biggest punches. In these knocks there is opportunity to mold a rising conqueror, an opening for you to grow larger than the setback that has placed you there. By tweaking something as little as our viewpoint, we can move from helpless to powerful, victim to shaker and lover of life. Life is all about how we decide to have it live through our veins, and our ability to see the bigger picture instead of being swallowed by black, white and gray. What I have learned in my many years seeking inner peace and on my path of self-discovery, is that a simple shift in perception is strong enough to catapult the most gifted gurus from a place of helplessness to standing tall. Life is all about perception, and all about the golden nuggets we allow ourselves to find in the cracks so we can easier move through the hardships. 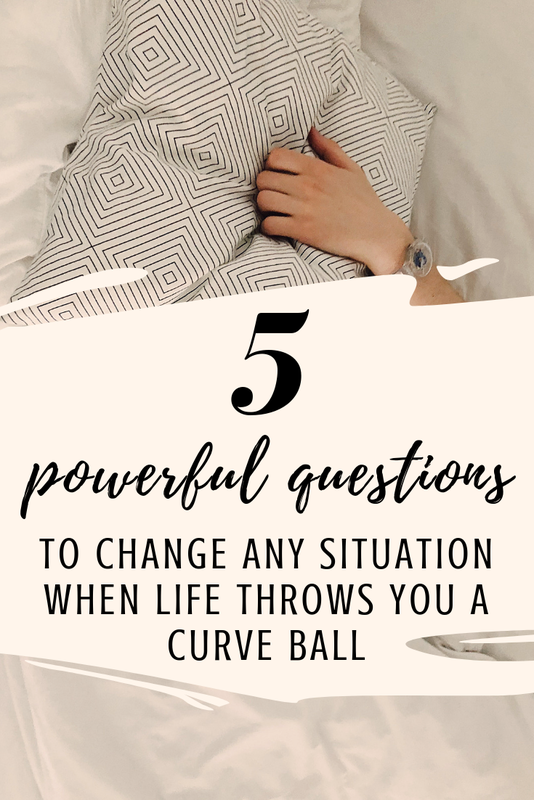 Below are powerful questions you can ask yourself when life hands you a not-so-favorable slap. These questions are all designed to pull us out from our discomfort, and move us into freedom, ease and possibility.